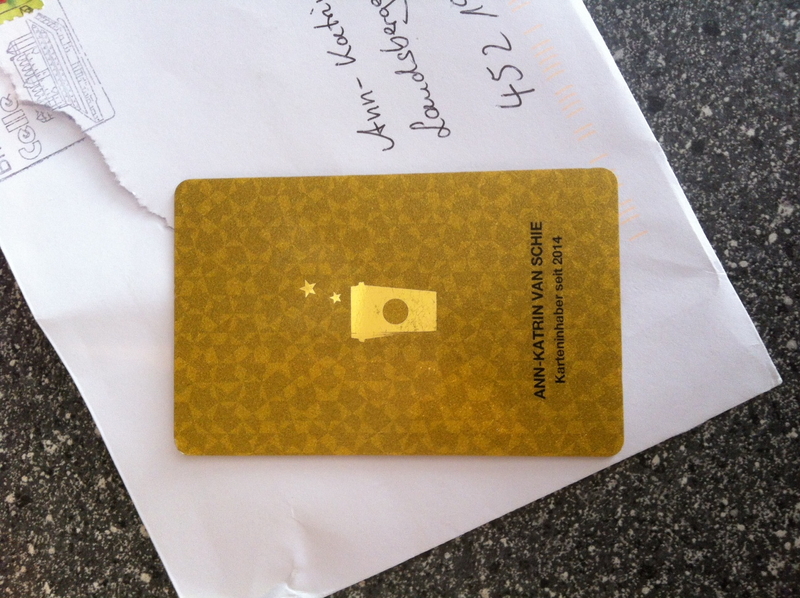 …a Starbucks card that can make the day! A few weeks ago I lost my Starbucks card, obviously not THAT important, but still, it had credit on it and it was lost. A stranger found the card, traced me down on FB and asked me if she should give it to a Starbucks outlet or send it to me. Even though I only saw this message several weeks later and didn’t expect anything I replied back and thanked for her for going through the effort to trace me down. Surprisingly she still had my card and did send it to me the next day! It is often small gestures and actions that can make the day! And it is important to acknowledge them, to appreciate them and to be grateful – and to give it further! My gratitude these days go out to this stranger taking the effort to trace me down, to friends, neighbours and family giving a helping hand, support and kind words without even having to ask, especially now during our last weeks prior to the move. Thanks to all, it is so appreciate and makes the day!